We're very pleased with the faucet (caveat: we had it installed by a professional, so cannot comment on ease of installation). It's very attractive, works quite well, and seems to be sturdy. So far, so good! 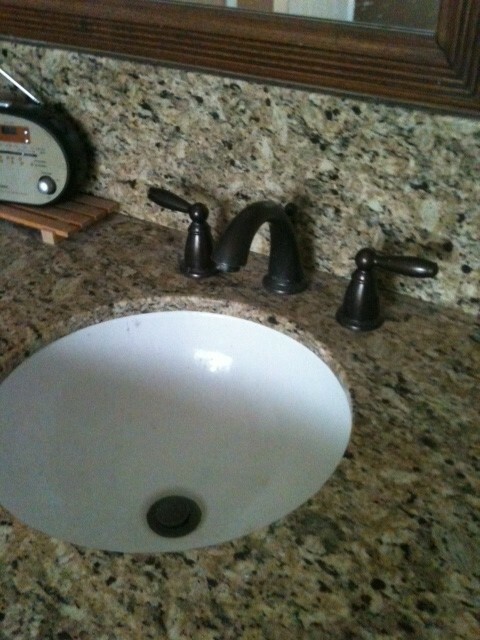 Very nice faucet. Impressive quality, and easy install. Looks great in your master bathroom. We purchased and additional one just like it for our powder bathroom. Placed in our family bathroom. Installed easily. Easy to clean. We have this installed on a very ornate sink. It looks great without detracting from the balance of the piece. I went to[...] to order these to match our fittings in the shower and the price they wanted actully prohibited us from getting them. Then I found Faucet Depot--Thank goodness! I now have matching facets and shower fittings.